Our state-of-the-art manufacturing facilities are both located in Missouri—one in Rolla and one in Vichy. The facilities are spaced far enough apart that they operate on separate power grids and can act as backup in the case of a natural disaster. Our 100,000-square-foot Rolla campus houses our original manufacturing facility, our R&D facility, our shipping facility, and many employee offices. Our Vichy manufacturing plant is a 25,000-square-foot facility built to accommodate future expansions. Located near the Rolla National Airport, the Vichy facility improves our product distribution with its convenient airfreight transportation access. 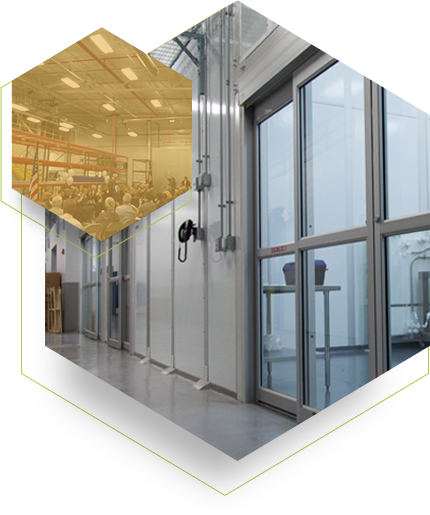 While both manufacturing facilities are capable of full-scale production, our Vichy facility is our most recent expansion, with world-class manufacturing equipment, Class 100 controlled clean room environments, and fully automated blending and packaging systems. Our clean room manufacturing and packaging areas are Class 100, which means that only 100 or fewer micron-sized particles pass through each cubic foot of air per minute. For comparison, most operating rooms are Class 1000, which means our clean rooms have fewer particles and contaminants in the air than hospital operating rooms! In our Class 10 autobottlers, only 10 or fewer micron-sized particles pass through each cubic foot of air per minute. One micron is one-millionth of a meter; to put this in perspective, a single strand of human hair is about 100 microns thick. These standards, combined with our expert staff and fine-tuned processes, give our customers the flawless quality they have come to know from Brewer Science. From our real-time process monitoring capabilities to our closed-loop manufacturing systems, our world-class facilities put Brewer Science on the cutting edge of the semiconductor industry. Our strict Quality Control standards ensure that all of our materials are consistent and high quality. At Brewer Science, we use extensive raw material purification systems for our material production. Implementation of our cutting-edge raw material purification processes has resulted in a > 80% ion concentration reduction. Continual improvements implemented in raw material supply and manufacturing processes have significantly reduced metal ion concentrations to < 1 ppb. These improvements are driven upstream to our suppliers and have positively impacted our raw material purification processes. Our sophisticated process automation includes real-time monitoring and a control system that tracks process parameters, production sequence, and lot genealogy. Our equipment design provides the addition of feed streams to our blending systems without exposure to the ambient production environment, and our process engineering uses simulation technology to optimize equipment design and manufacturing processes. At Brewer Science, our strict Quality Control standards ensure that all of our materials are consistent and high quality. 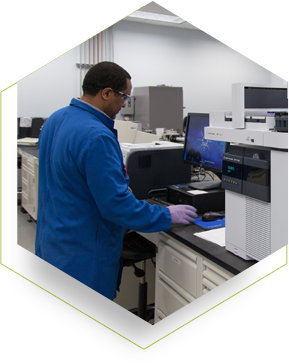 Our leading-edge metrology offers the highest degree of sensitivity and accuracy available in the industry, and our zero-escape policy for releasing nonconforming materials ensures that only the finest products make it into the hands of our customers. Our advanced analytical metrology enables full characterization capabilities in-house, and our predictive batch analysis optimizes our processes and characterizes our materials at each process step. We are one of only three companies in the world to be GreenCircle Certified® Zero Waste to Landfill, and we are the only company in the semiconductor industry to hold this status. We are committed to being an environmentally friendly company, having reached 94% of our utility-reduction goals in 2015. Energy-efficient geothermal heating and cooling technology has been integrated into our new Vichy facility in an added effort to achieve these goals. Brewer Science is a company of the people, by the technology, and for the customer. Each decision is made with our customers in mind. We are continually innovating for you. We make strategic partnerships that will align us with other industry leaders and facilitate the advancement of the latest technologies. We are leaders in technology, quality, and service. We’re prepared for the next generation. Are you?